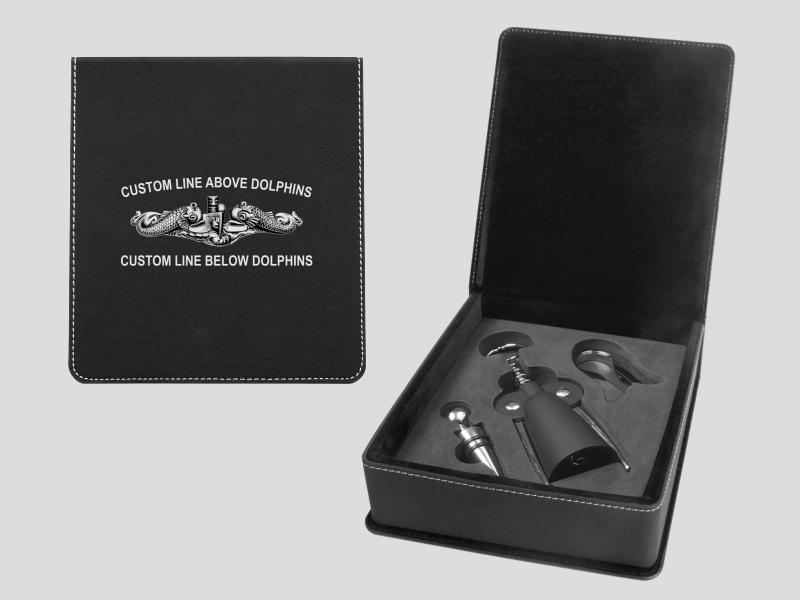 Our Personalized Three Piece Wine Tool Set is sure to float your boat. The richly textured artificial black leather and silver engraving certainly make for an elegant impression. Includes a corkscrew, bottle stopper and foil cutter which fit neatly into the velvet lined foam. Our wine tool kit measures slightly over 6.5" wide x 7.25" high and is 2.0" thick with a magnetic lid closure.